I had Korean Air SkyPass miles that were going to expire. 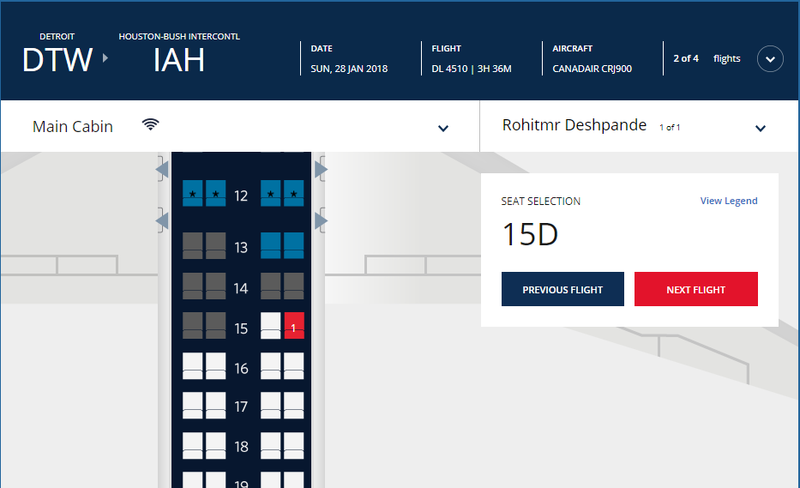 I would have redeemed them for an international itinerary as that’s where the value is best used, however, I did not have time for that and the miles were going to expire within days of me booking this flight. 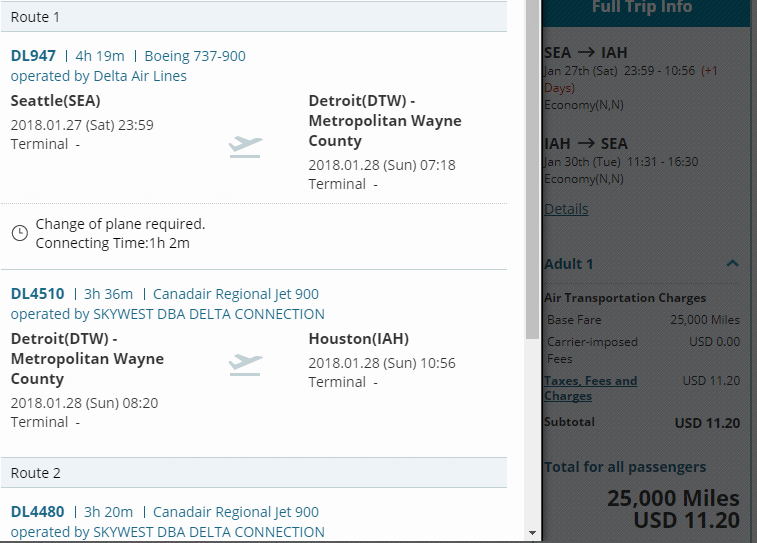 So I booked a one-way economy class from Seattle to Houston. 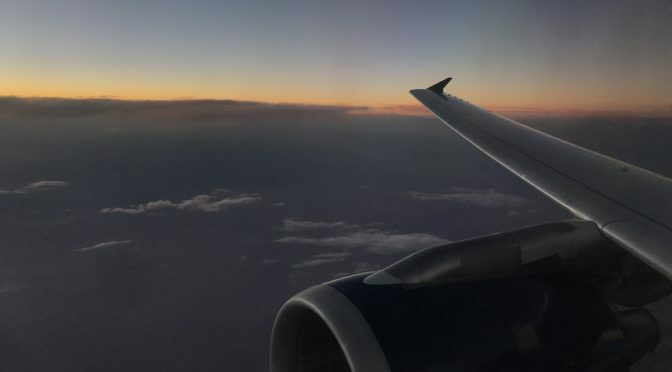 I would have a 5-hour layover in Seattle so I decided to make a visit to the Delta SkyClub there as I’ve heard very good things about it and was excited to experience it myself. As a matter of fact, as I’m typing this I’m sitting in the SkyClub in Seattle and it has absolutely blown me away in terms of the quality of the lounge, the food, the seating, and the overall ambiance. I’ll have a full review of the lounge, but boy this is the best domestic US carrier lounge I’ve ever been to and completely demolishes UA and AA in competition. For a good price for value, $311 is probably the upper boundary of what I would pay for this. 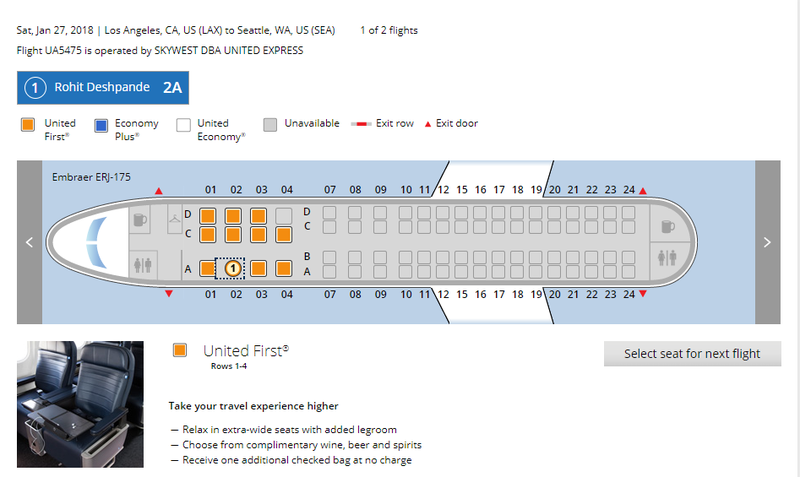 On the bright side, this flight will have fully lie-flat seats and a hot meal because that’s what United’s rules for first class meals qualify for. Also, I earn 1,380 Award Miles, 2,758 Premier Qualifying Miles, 1.5 Premier Qualifying Segments, and $276 Premier Qualifying Dollars. I’ve flown this aircraft in first class so now main cabin should complete a full review of this aircraft with Delta. And then for a 3.5-hour flight, I get to sit in a regional aircraft’s economy class. great :(. 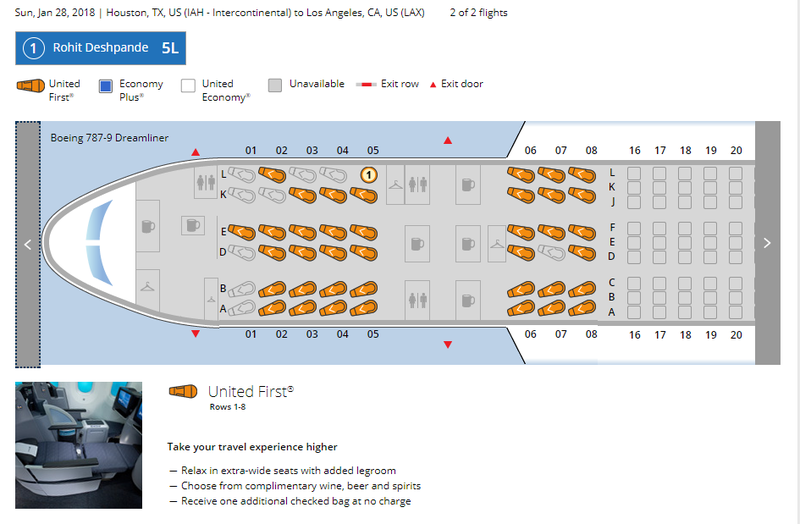 A word of advice if you are traveling in First Class/ Polaris Business Class on UA’s 787-9, do not choose seats 4A or 4L as both are missing windows. 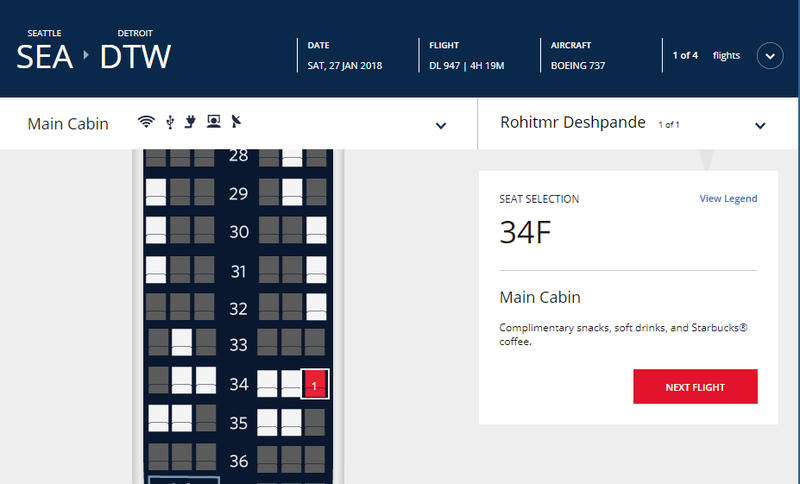 Mostly all the seats have 2 windows per person but 4A and 4L have none. Just to keep in mind. I hope you guys enjoy these reviews and stay tuned as there’s more to come! Do be sure to check out the youtube channel as there will be videos for all of these flights uploaded as well!